Police Cadets will receive training and exposure to various police department Uunits, which is a key component of the program. Police Cadets will be exposed to what police recruits and police officers experience daily. Police Cadets will receive on the job training paid at a rate of $13 - $15 / hour. Police Cadet uniforms, training expenses, mentoring and more will be provided at no expense. The St. Louis Police Cadet Program will begin July 2018. Applicants must be enrolled in their senior year of high school or received a high school diploma or equivalent. Must be between 18 and 20 ½ years of age. Must have genuine interest in pursuing a career in law enforcement. 1. Why the candidate is interested in the Cadet Program. 2. A few sentences about the candidate. 3. Bullet points indicating that the candidate meets each of the minimum requirement to be a police cadet. High school or college transcript or copy of GED. Completed application, typed or written neatly. 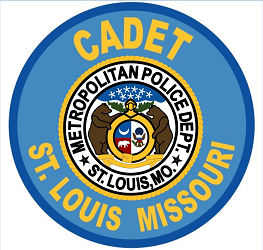 The St. Louis Police Cadet Program was formed with the input and funding from the St Louis Metropolitan Police Department and the St. Louis Police Foundation. The police cadet program provides needed support and a clear pathway for those who are passionate about our city and are interested in a career in law enforcement. 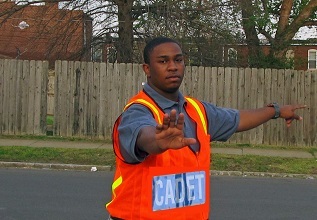 The goal of the program is to provide interested individuals between the ages of 18 and 20 1/2 with paid, on the job training and exposure to various police department units; the opportunity to earn course credit; and the foundation to be successful and well-prepared upon entering the St. Louis Police Academy once turning 20 ½.